This could be a really big week for Apple and they could be getting a really cool present under their iTree this holiday season. The tech world is abuzz again as reports abound regarding Apple’s alleged acquisition of PrimeSense, an Israeli maker of 3D sensor technology, for a reported $345 million. 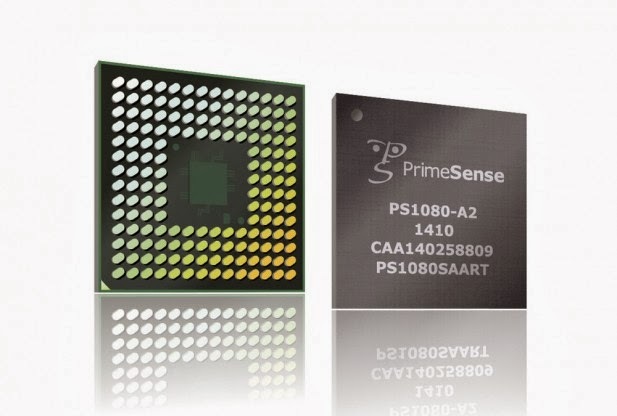 The two companies have reportedly been in talks since July, when rumors first started circulating that Apple had entered talks with PrimeSense in an attempt to add the gesture-based technology to their war chest. It’s no secret Apple is itching to further its reach all the way into your living room, leveraging the existing devices, including AppleTV, and taking the user experience to a whole new level. The acquisition of this technology would certainly help accomplish that. PrimeSense’s technology, which is used in devices to create a synchronized depth image, allows users to see, understand and interact with their environment. It tracks movements of bodies, faces and facial expressions to create a uniquely responsive interface something no controller or joystick can accomplish. This technology is already being used to power Microsoft’s Kinect sensor for Xbox 360 games, as well as in 3D immersive gaming platforms. But it’s not just about playing games. PrimeSense’s technology has real-world applications that can truly impact lives. The Ava healthcare robot by iRobot utilizes PrimeSense’s technology and has the ability to navigate around, and interact with, patients. This could revoltionize patient care. Back in July, the price tag for PrimeSense was estimated at approximately $250 million. Today, sources put the value of the deal in the ballpark of $345 million, signifying the talks are in the advanced stages and a final deal is about to be struck. Some are insisting the acquisition is already a done deal, but neither side will confirm anything. Maybe it’s a stall tactic designed to throw us off the scent, or maybe they’re just waiting for the ink to dry. Apple CEO Tim Cook remains mum, as well requests for comment produced nothing. Reports indicate the deal was originally supposed to be signed, sealed and delivered at the beginning of November, but common speed bumps such as valuation, liquidity and assorted and sundry legal issues seem to have delayed the transaction. In any case, an announcement and official confirmation are expected in the next few weeks. Acquiring PrimeSense would be a major coup for Apple and would likely be a key piece in terms of Apple’s ambitions and innovations. The long-rumored and much-anticipated iTV might get on the development fast track, plus other iDevices could get innovative upgrades in functionality. In terms of how Apple would apply this technology, the possibilities are endless. PrimeSense bills itself as the manufacturer of technology that gives “digital devices the gift of sight.” That sounds like a perfect tool to support Apple’s vision. Until it’s announced as a done deal, we’ll just have to wait and see.